Lancaster New City is located in Advincula Ave. Alapan II-B Imus City Cavite. About 35 minutes away from Manila airport and Mall of Asia, public transportation run through this new city to Coastal Mall Terminal while shuttle services are made available for residents to go around the villages and nearby town, for a minimal fee. 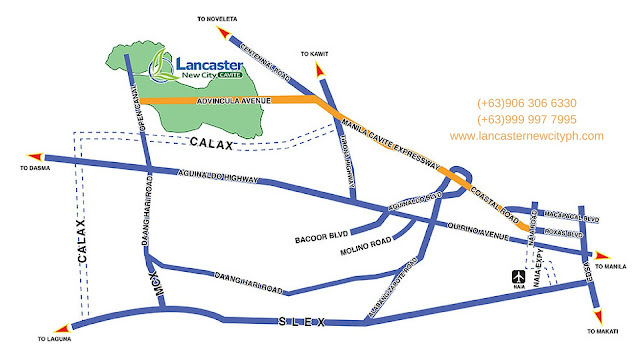 There is a newly constructed transport terminal within the Lancaster New City for the added convenience of guests and residents. Allow us to help you to find the home you dream for your family. And as starter, tripping vehicle, viewing assistance and computation request is free and No charge.Get your schedule now!